SANTA FE, N.M. (AP) — A proposal that would make New Mexico the first U.S. state to set up government-operated marijuana stores appeared to be dead Thursday in the current legislative session. Sen. John Sapien, a Bernalillo Democrat, said lawmakers still have questions about the measure with only hours left before they adjourn. The bill previously passed by the state House would legalize recreational marijuana in New Mexico. However, it stalled in the Senate Finance Committee and it didn’t appear that Sen. John Arthur Smith, a Deming Democrat who chairs the panel, planned to give it a hearing. 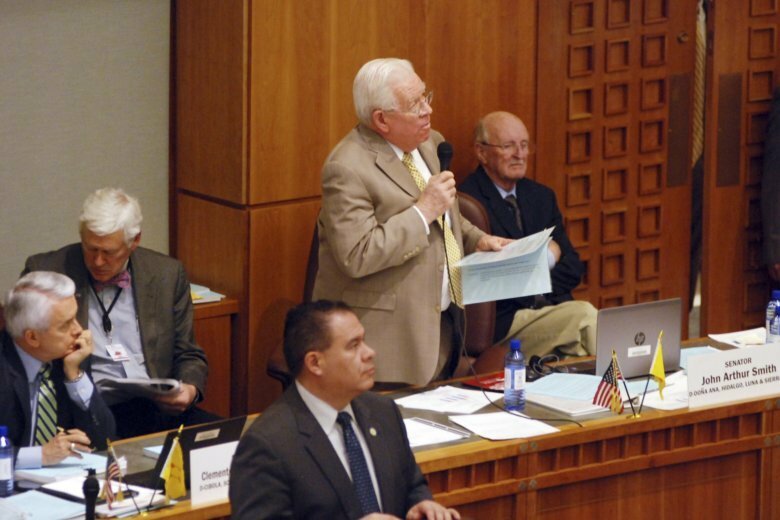 Smith told the Albuquerque Journal the legislation does not have enough votes to be passed out of his panel. He also said one sponsor of the bill had asked him not to hold a hearing on the measure if it lacked votes. Sapien said some private companies and medical marijuana providers have concerns over how the bill is written. The idea for state-run pot shops came from a trio of GOP state senators who broke with party orthodoxy to embrace legal marijuana. New Mexico House Speaker Brian Egolf said he was still proud that a New Mexico chamber had approved a proposal to legalize marijuana for the first time in state history. “Something it takes a few times to get something like this passed,” Egolf said. Ten states and Washington, D.C., have legalized recreational marijuana — all by ballot initiative except Vermont, which has allowed personal use and growing but is still debating whether to authorize commercial production and sales. Other legislative efforts to legalize recreational marijuana are underway in New York and New Jersey. A bill to legalize recreational cannabis in Democrat-dominated Hawaii recently went up in smoke.